A wise utilization of mirrors in the bathroom creates the delusion of additional space in there than it really is, which is an added point and quite useful for the bathrooms with small spaces. Mirrors are also very useful for many other purposes such giving yourself a final look before go out to check how you are looking or anything you are missing. 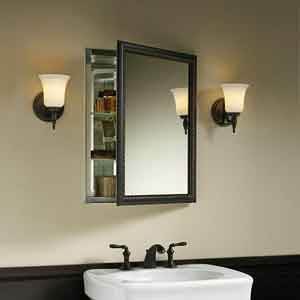 The bathroom cabinets with mirrors also very useful as they serve the purpose of the mirrors as well as give you the freedom to store your bathroom products behind the mirrored panels and into the cabinet store. Thus, bathroom mirrors and bathroom cabinets are also an essential part of the bathroom designing. Banyo has been offering a wide range of bathroom cabinets and bathroom mirrors which include bathroom wall cabinets, mirrored bathroom cabinets, corner bathroom cabinets, white bathroom cabinets, bathroom cabinets with shaver socket inside, illuminated bathroom cabinet and bathroom cabinets with lights. 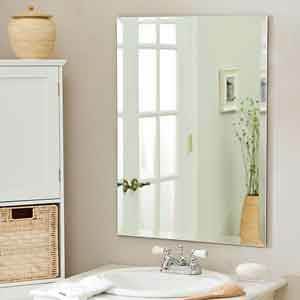 All the bathroom mirrored cabinets and bathroom cabinets are designed by the most popular bathroom brands of the world and Banyo offer these bathroom cabinets at very reasonable prices.